Irish broadcaster RTÉ has been experimenting with mobile journalism (mojo) over the past four years, using smartphones to produce a range of news reports for television audiences, including an entire documentary shot in 4K resolution. Now the publisher is beginning to turn some of its focus to social media, training its junior mobile journalists to produce news packages specifically for Facebook as part of a new video series. 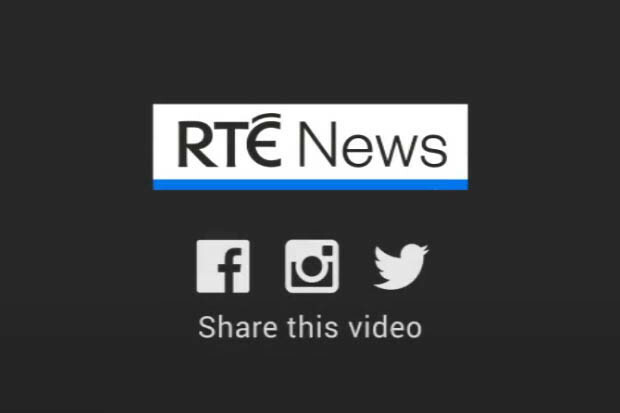 "We have a significant audience that is only finding our content on social platforms," said Philip Bromwell, RTÉ News video and mobile journalist, who explained that until now, all mojo content on social has been either whole or re-purposed TV reports, or stories edited from stock graphics or video. "We need to start catering to that audience and look at the kind of stories that they might want, and try to be much more responsive to the various differences between the platforms. "I felt we had to increase the quality of our offering – to look at stories which aren't on the TV news agenda, stories that we felt would work well on social." The video series, overseen by Bromwell, has so far covered issues such as blood donations and haircuts for the homeless, and has been running online for the last five weeks. Both junior reporters involved in the series have been using their phones with apps such as Filmic Pro and LumaFusion to produce these TV-style reports for a social audience, using limited resources to do everything in the production process. Jimmy Beattie, one of the mojo reporters involved in the series, explained they were looking to shoot stories that people are likely to share and engage with online – those that are visual, people-centric and emotionally-driven. "I've been doing mojo at RTÉ for two years, but it's mainly been in the office creating stories using photos from Getty or footage from Reuters and adding text to it for example, but this is getting us out and filming our own content," he said. "It's been really enjoyable. There's been a lot of brainstorming and online research to come up with a range of original story ideas, and it's been a great experience so far." Indeed, although Beattie and his colleague had been producing mojo content for a while, Bromwell explained, their work was mostly focused on creating slideshows, simple animations and infographics, and their development as storytellers was restricted from not getting out into the field. "Whatever mojo-tech skills they acquire, they've still got to be able to tell stories with a start, middle and an end, and go out and talk to people – even in this multi-platform age, the core thing is the story, and we are getting them out from behind a desk and developing them as storytellers, as journalists," Bromwell said. "We are dipping our toe in the water here, because we don't have many resources to experiment, but it seemed to be a good opportunity to give them a mini project to go out and shoot stories on mobile, edit on mobile, and publish to social first." The aim is that as the project grows, the junior mobile journalists will improve their shooting, editing and storytelling techniques, and the series will become a recognisable part of RTÉ's offering on social media. "Ultimately, I'd like to get our audience on social to respond back to us and suggest other ideas, using the platform itself to generate the stories," Bromwell added. "And you never know, when you create bespoke social content for social, maybe that will inform the kind of content you should start doing for television or radio because you can see straight away how the audience reacts to it and how people engage with it."